California courts consider any act of violence a very serious crime, including assault and battery. If you are facing assault or assault and battery charges, you face serious consequences if convicted. This means it is crucial that you enlist the help of an experienced criminal defense attorney as soon as possible. Your lawyer needs to be able to fully investigate the circumstances of your arrest, in order to help you build the best defense against the charges. In some cases, there may be a strong argument that you acted in self-defense, or in defense of someone else which could lighten or eliminate a sentence. In other cases, legal technicalities may make it possible for the charges to be dismissed. 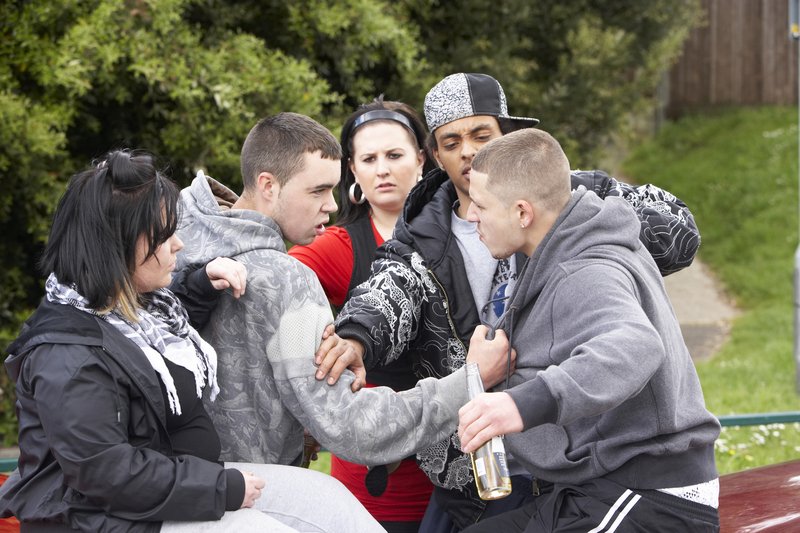 Most people think of a fist fight or other physical confrontation when they hear “assault,” but any purposeful attempt to injure someone else may be considered assault according to California law. In fact, no physical contact is necessary between the parties for an assault conviction. The most serious type of assault, assault with a deadly weapon, occurs when the means of force used in the assault has the potential to cause severe injuries to the victim. This may include almost any item that could lead to death, from a gun to a vehicle. Assault with a deadly weapon is considered a violent felony and may be counted as a strike if you are subject to the Three Strikes Law. Discuss your history with Grant Bettencourt. If this is the case, there may be ways to reduce the chances of an assault conviction counting as a strike under this statute. Schedule an appointment to speak with an experienced assault and battery attorney anytime through the link below, or call (925) 788-7178. Battery, in simple terms, is an assault where unwanted physical contact has been made. Battery charges may apply even when neither party is injured. A battery charge will not be dismissed simply because the physical contact did not leave a bruise. All that is required is the threat of physical confrontation and actual unwanted contact between the parties. Depending on the specific circumstances of the case and if you have a criminal history, battery charges may be considered either misdemeanors or felonies. If no injuries or only minor injuries occurred to the battered person during the confrontation, it is known as simple battery. Simple battery is defined under Penal Code 242 in California and is typically a misdemeanor. When major injuries do occur, a charge known as aggravated battery may be used. This type of “battery causing serious bodily injury” is defined under Penal Code 243(d). Types of injuries that may warrant this type of charge include head injuries and broken bones. Aggravated battery is considered a violent felony, and a conviction brings with it a strike under the Three Strikes Law. How are Assault and Battery Different? While they are rarely talked about as separate offenses among the general public, assault and battery are actually two different offenses in the legal world. In California, assault is defined under Penal Code 240, while battery is defined in Penal Code 242. While there are some technicalities that must be taken into consideration, it can be said that battery requires bodily contact in some offensive manner while assault does not. This means that all battery charges include some type of assault, but not all assault charges include battery. It is impossible to batter another person without committing assault. Because of the nature of these crimes–the lesser offense of assault is considered “necessarily included” by the courts–you can actually be convicted of both at the same time. However, the sentencing will only include the battery charge in this case. 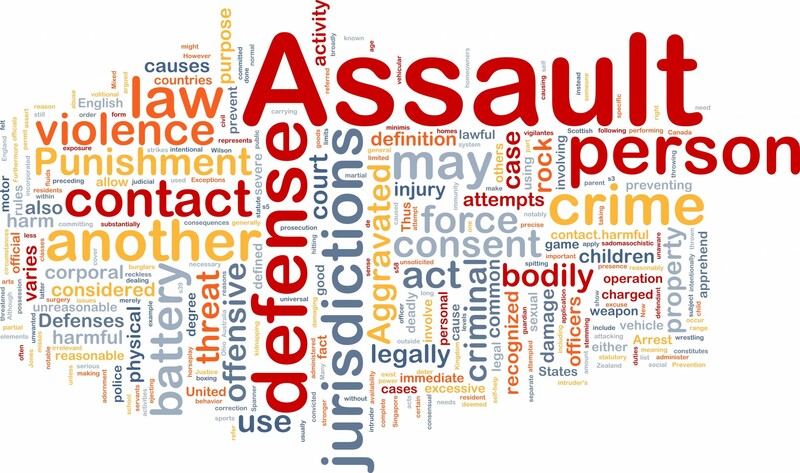 California Penal Code Section 240 defines assault as an unlawful attempt, combined with a present ability, to commit a violent injury to another person. The penalty for this kind of crime can range from expensive fines to actual jail time, which is why it is essential that you have the right criminal defense attorney representing you. California Penal Code Section 242 defines battery as the willful and unlawful use of force or violence upon another person. Battery can be filed as either a misdemeanor or a felony depending on the extent of a person’s injuries. An incident in which serious bodily injury is inflicted upon a person will fall under California Penal Code 243(d) and is known as aggravated battery; a felony which can result in up to 4 years in California State Prison, a $10,000 fine, and a strike on your criminal record pursuant to California’s three strikes law. If you are facing charges of assault or battery, having the right legal representation is paramount. An experienced criminal defense attorney will be your best ally during your trial, in order to ensure your legal rights are protected. Because of their serious nature, defending these cases can be difficult and requires diligence and skill. The Law Offices of Grant Bettencourt has the expertise you need to protect your future. Call us today to schedule a consultation. Call us today at (925) 788-7178 or Schedule a Consultation Online Now and Grant will Contact you within 24 Hours During the Week.